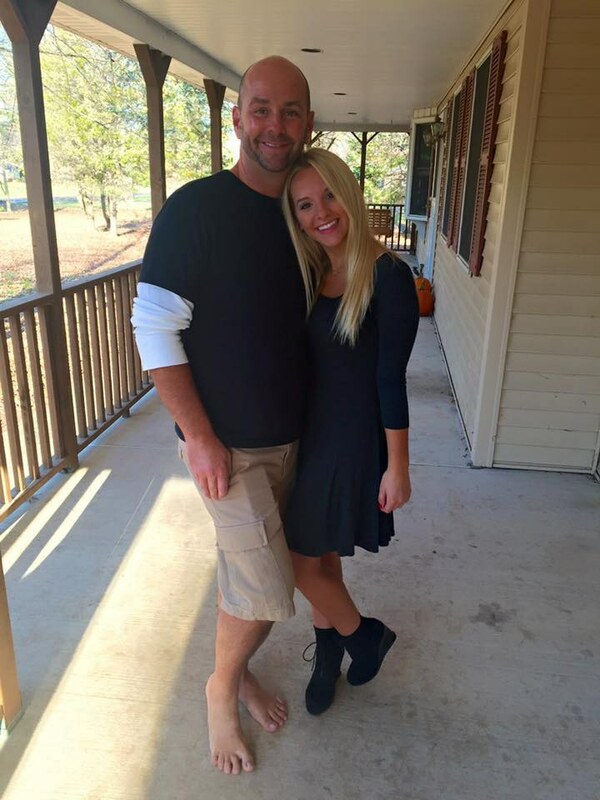 We all can take a little something from this man's contagious smile and attitude, but who is he really? 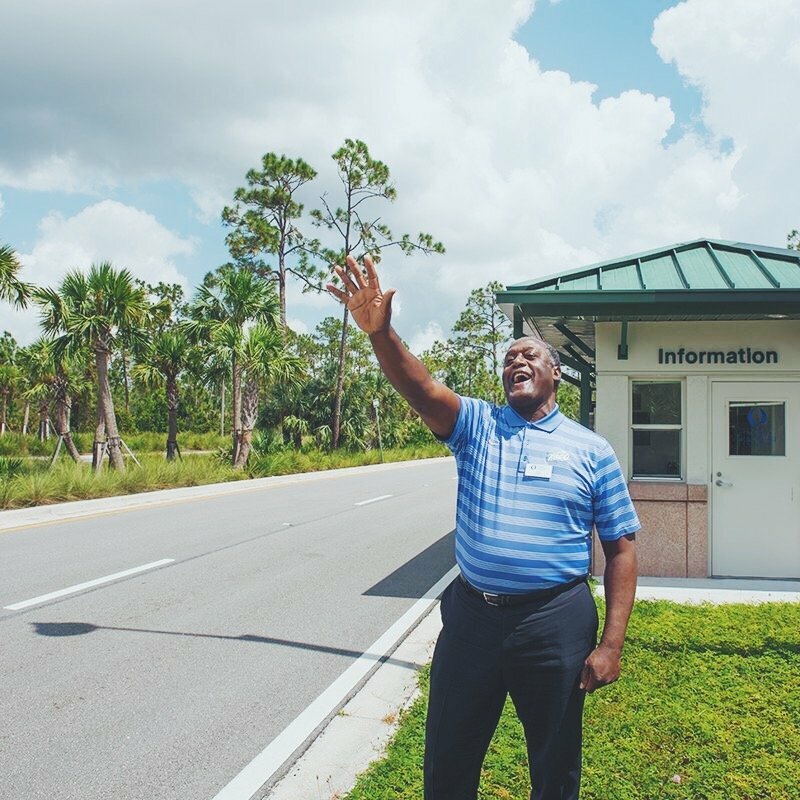 We all know the man who brightens your morning as you drive onto FGCU’s campus welcoming your day with a warm smile and a friendly wave. That man is Mr. Green. Whether it’s rushing to that 8:00 a.m. that you were contemplating staying in your comfy bed instead or grabbing a quick bite at Einstein’s, you can’t miss him. I was intrigued by Mr. Green’s positivity and I wanted to know more about him. I thought, “This man must have some interesting and inspiring words to share” and he did. Mr. Green made his way all the way from Oil City, Louisiana to Fort Myers, Florida. He received a full ride to Morris Brown College in 1973 as a star football player, then due to injury, he left and attended UCSB (University of California, Santa Barbra). He earned a Master’s degree, volunteered in less fortunate areas to enrich lives in need, and served in the U.S. Air Force. One day, in 2003, he received a phone call while living in Texas to teach 7th Grade Geography at Bonita Springs Elementary School. This ultimately led him to the Information Booth at Florida Gulf Coast University where we see him today. Originally, UCSB wanted Mr. Green to attend their school but it was too expensive for him. He told them, “Man that’s a lot of money. I’m not all that bright, but I got a lot of common sense.” UCSB ended up giving him scholarships and grants because of his display of fortitude and ambition. No one tells him to stand out there at 7:00 a.m. each morning and he doesn’t get paid extra for it either, so why does he do it? His reasoning was that each day prior to doing this, he would watch as people drove onto campus and they passed the Information Booth with frowns on their faces. He wanted to be the one to turn their day around. So one day, he decided to be the reason someone may smile. He waves to each individual that passes, not overlooking one person. Grandmothers always seem to give the best advice, right? He listened to his Grandmother's advice and displays her words through his acts of selflessness for others. Part of his inspiration for this gesture is his reminiscences of his times in Oil City, Louisiana. The houses were on dirt roads where he lived. People sat outside on their porch each morning and waved as cars and people passed through. He said proudly, “The kitchen is the most important place in my house." I couldn’t agree more with Mr. Green. There’s always room for dessert even if your belly is screaming no. Numerous people passed through as I sat in the booth with him. All the way from bike riders going for their morning ride through campus, to people in need of assistance. Some people he referred to by name, but most were strangers. Stranger or not, he acted as if they have been friends for a lifetime. He did so while introducing me to each person as well and made me feel appreciated. “It’s not about how you live, it’s about life. We try to make our livelihood better but we need to make life better.” Mr. Green said. His uplifting attitude should remind everyone that passes him during their daily commute to our beautiful campus to take a step back and appreciate today. Having compassion and a kind heart towards others will ultimately bring you good things in your life. I firmly believe that what you put into this world you will receive. We all need to be a little more like Mr. Green, have good intentions for your actions and love each other and life without limit. Trust that voice in your head and do what makes you happy, whether it may be a big leap or not, you never know until you try. So go and apply for that leadership position, take that internship, study abroad in your dream country, do whatever that makes you happy. Happiness isn’t defined through materialistic items, but rather the moments we share with others. In the short amount of time that I spent with Mr. Green, I got to see a little of what his day is like “behind the scenes”. I came to discover that this is a man with a huge heart. He showed me this through his personal experiences and amusing stories. Enjoy the little things in life and take a step back once in a while to reflect on what you are grateful for. We tend to always yearn for more but we will never be satisfied if we don’t learn to appreciate what we already have. Remember, you can do anything if you are kind and mindful of others. Life is measured in part by the joy you bring into lives other than your own. Everyone has had their fair share of hard times, but what is important is that you overcome them with clarity and share what you have learned to help others. Give more than you receive. Tell the people you hold near and dear to your heart that you love them because there’s no better feeling than accreditation and appreciation. I can gratefully say I have made a new friend after this encounter. I suggest you all do the same, even if you don’t attend FGCU! It’s as easy as rolling your window down, saying hello or giving a little honk as you pass by. His charisma and heart will inspire you. I promise if you’re feeling a little down one day, this is the man to go to that will turn grey skies blue. A smile and a wave goes a long way. The FGCU student body appreciates you, Mr. Green, for spreading love and positivity every morning. Thank you for your service. Keep doing what you do by keeping the spirit of FGCU and its students alive!